As one of the largest film festivals in Europe, the Berlinale faced a new challenge this year: how to tackle the #MeToo debate. It wasn’t easy, but they managed. Here’s how. It’s a Monday afternoon in Berlin. At the Tipi am Kanzleramt Theatre, the audience is sat around small tables, listening to Federal Minister of Family Affairs, Senior Citizens, Women and Youth Katarina Barley give a speech. “We’ve noticed something different this year,” Barley says. She isn’t referring to the Tipi Theatre but to the Berlinale film festival, which took place from the 15th to the 25th of February. As part of the Kultur will Wandel (“Culture demands change” in German, ed.) event, Barley has been invited to speak at a roundtable discussion on sexual harassment in the film and theatre industries. Berlin isn’t Hollywood, but the #MeToo debate – a hashtag that has flooded social networks, especially Twitter – has even made its way to German cinema. In the weekly ZEIT Magazin and daily newspaper Die ZEIT, many women have accused director Diet Wedel of sexual harassment and violence, sparking a national debate on power structures and the abuse of power in the cinematic industry. The German film and television industries announced at the start of the Berlinale that a complaints office had been established to receive and deal with reports of power abuse and sexual violence. The office was composed of 12 professional and trade associations who called on TV broadcasters to financially contribute to the cause. 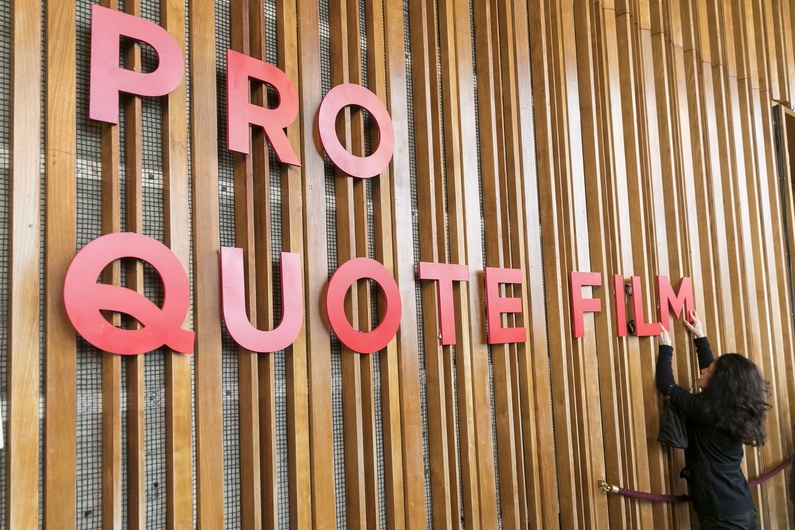 The newly founded Pro Quote Film initiative is also seeking financial support. Since 2014, female directors have been campaigning for gender equality under this initiative. Pro Quote Film has since opened up to other professions like editors and costume designers. The initiative’s goal is ambitious: they want to bring about a cultural change in the cinematic industry, given that German women behind the camera are underrepresented. In 2016, women made only 22% of German films and only 8.8% of grants from the German Federal Film Fund were given to them. In order for this cultural shift to happen, a fairer gender balance in film and TV productions is necessary but so is a reduction in the number of stereotypical representations of women on screen. To examine the current way women are represented on screen, Pro Quote Film carried out a study that yielded startling results. The study found that 67% of protagonists on screen are male and when women are shown, they are most often a friend, colleague or partner to their male counterparts. Up to the age of 30, women and men are more or less equally represented, but after the age of 35 increasingly fewer women appear on screen. From age 50, we only see one woman for every three men on the screen. News and documentaries are also overrun with men; experts are overwhelmingly male, as are presenters and journalists. It is still very much a man’s world. On stage at the Tipi theatre, politician Barley has made room for a roundtable discussion. The actress and Pro Quote member Jasmin Tabatabi claims that, in her experience, “a woman has to fight.” Namely, women have to fight for honest gender representations in the film and TV industry, which should allow for long-term stereotypical representations of women in the industry to evolve. Barbara Rohm, director of Pro Quote Film, points out that the narrative point of view in film is generally masculine, and only “a few narrative points of view” are reserved for women. Representatives of the ZDF (German public service TV broadcaster, ed.) and the Saarländische Rundfunk (SR) appear to be open-minded and keen to learn, even if SR artistic director Thomas Kleist clumsily referred to the #MeToo debate as a “sexual debate”, casting doubt on whether he truly understood what it is actually about. Men also have the privilege of avoiding the scrutiny of their appearance and clothing; they can talk about their projects on the red carpet, whereas women are always asked the same question: “So, what brand are you wearing?” Actress and screenwriter Anna Brüggemann (Silver Bear winner for best script in 2014) has grown weary of being asked the same questions. Through her campaign Nobody’s Doll she hopes to give women the confidence to wear whatever they want on the red carpet. Why should women feel they have to wear high heels? Why do they have to wear designer dresses? Brüggemann isn’t instructing women to dress “differently” but wants them to decide what to wear on their own. “But that doesn’t mean that one shouldn’t take pride in one’s appearance. We need to embrace our uniqueness and not be imprisoned by real or imagined pressures.” Still, there was no “black carpet” at the opening of the Berlinale; actors and actresses were not wearing black to protest sexual harassment as part of the #MeToo campaign, which was the case for the Golden Globes and the BAFTAS. What will remain of the 2018 Berlinale, a Berlinale that was to address #MeToo, power abuses and discrimination? It’s clear that the festival took its mission seriously by giving a place and attention to the #MeToo debate. We are aware that there is a problem. But that’s not enough: women from the film industry are tired of waiting for change to happen, so they are taking matters into their own hands and working together to make their presence known. Of course, the Berlinale itself must act too. Out of the 24 films featured this year, only four were directed by women. Nothing revolutionary. 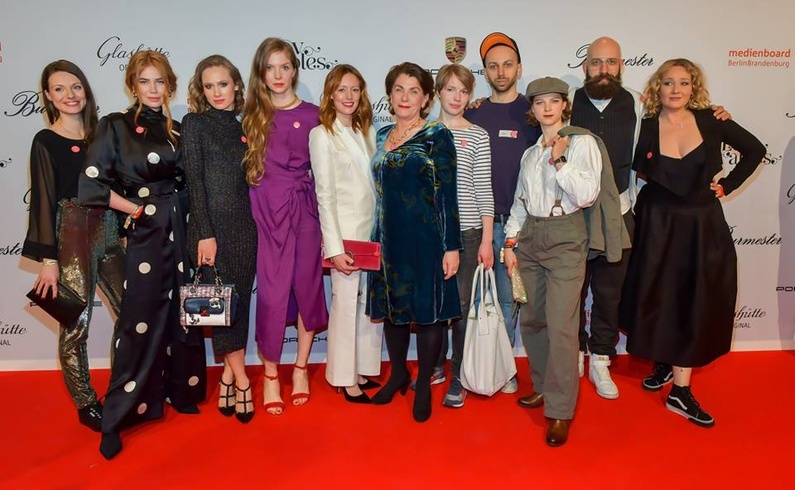 Nevertheless, men and women equally represent the Berlinale panel of judges – led by director Tom Tykwer – and the films screened during the festival offered a colourful panorama of interesting female characters. Baby steps. No, Berlin is not Hollywood. Berlin isn’t Cannes or Venice. But to hear discussions on the #MeToo debate, it was well worth taking a look at the Berlinale.